FASHION HOUSE Group, leading player in the European outlet sector, will be present this week at two important retail events organised in London by the International Council of Shopping Centres (ICSC): ICSC Retail Connections and the European Outlet Conference. On Tuesday March 4th, FASHION HOUSE Group will be showcasing its exciting outlet projects at stand A14 during ICSC Retail Connections. 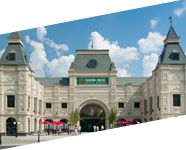 Every year this business meeting event brings together shopping centre owners, developers and agents with retailers looking for new opportunities. 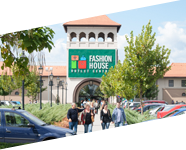 The following day Brendon O’Reilly, Managing Director of FASHION HOUSE Group, will participate in a panel discussion on “Key Issues for the Outlet Industry”, during the European Outlet Conference. The topics of this year’s 9th edition will focus on the increasingly demanding customer, and strive to provide solutions as to how retailers and developers can take advantage of global trends. 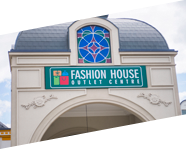 FASHION HOUSE Group is the Gold Sponsor of the conference. – We are very pleased to take part in these leading retail and outlet industry events – said Brendon O’Reilly. – We see them as a unique opportunity to meet and exchange ideas with influential industry professionals and showcase our latest projects in Russia. Founded in 1957, International Council of Shopping Centres is the premier global trade association of the shopping center industry. Its more than 55,000 members in over 90 countries include shopping center owners, developers, managers, marketing specialists, investors, retailers and brokers, as well as academics and public officials. 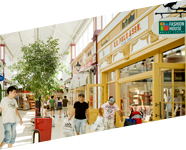 As the global industry trade association, ICSC links with more than 25 national and regional shopping center councils throughout the world.